Do our memories get better or worse with age? Our ability to recall events seems to sharpen as we get older but can it be trusted, asks Lisa Jardine in her A Point of View column. 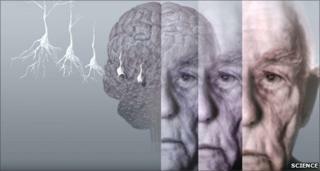 Have you noticed how as you get older your long-term memory seems to become increasingly sharp? When I was in my teens I used to marvel at the facility of my elders to summon up complete passages of poetry or prose, while I fumbled for more than a phrase. Now I find I can recite surprisingly large chunks of Horace Odes that we learned at school: "Pallida mors aequo pulsat pede pauperum tabernas regumque turres" - "Pale death knocks indiscriminately at the doors of the cottages of paupers and the palaces of kings". Every time I take a country walk, I am surprised to discover that I can recall the name of each common wild flower as my eye lights upon it - rosebay willowherb, birdsfoot trefoil, ladies' bedstraw, meadow cranesbill - names my mother taught me on our childhood walks in the countryside around Monk's Risborough in Buckinghamshire where we lived. Perhaps most strange are those moments when something triggers an intense memory of an event that you had almost entirely forgotten, but which returns suddenly now with extraordinary clarity. Here is a case in point. I went up to Cambridge in the 60s to read mathematics at Newnham College. In those days there was a separate entrance exam for Oxford and Cambridge, and my parents arranged for me to have coaching for the maths papers with a maths master at the boys' school close to my family home in Highgate. Once a week Mr Bellis taught me how to master the subtleties of university level maths problems, and in the process built up my wavering adolescent confidence, convincing me that there was nothing they could set me that I would not be able to solve. It was Mr Bellis's wife who suggested, when I arrived in Cambridge, that she should put me in touch with Timothy (let's call him) - a former student of theirs, who was now in his final year at Fitzwilliam College (then Fitzwilliam House) reading history. It would make a nice introduction to student life, she proposed, he would help me to find my feet, and besides, he was such a charming young man. Sure enough, shortly thereafter I received an invitation to tea with Tim at his lodgings in Silver Street. My Newnham fellow-students were impressed - Tim was a prominent figure in the university acting world, the star of a number of critically praised undergraduate productions. Mounting the stairs to his bed-sit, I felt grown up and rather sophisticated. The sensation of well-being increased as I sat in an armchair with sagging springs while Tim, dashing in a denim shirt, toasted crumpets at his three-bar gas fire, and entertained me with amusing anecdotes about undergraduate life. Suddenly the door burst open. In rushed a small, elderly man, dishevelled as I remember, and dressed in some kind of crumpled dark grey overalls. Pointing his finger directly at me, he began hurling abuse: "I know your sort! I know what your kind of girl gets up to, you hussy! Now you just get out of here this minute!" My newly-gained confidence collapsed like a soap-bubble. I struggled to my feet, barely able to hear Tim's protestations above the din of the continuing verbal assault, and fled. I never saw Tim again. I think, though I'm not sure, that he sent me a note of apology for what had happened. But I was too mortified even to consider repeating the experience. I put the incident to the back of my mind, and I barely thought about it for decades. However, this particular story has a sequel. In July of this year I went back to Cambridge, where Mr and Mrs Bellis now live in their retirement, on the occasion of Mrs Bellis's 80th birthday. There was a joyous party, in a marquee among the climbing roses and herbaceous borders of the garden she had lovingly planned and tended. I had only been there for minutes when I spotted Tim - virtually unchanged by the intervening years, and suddenly the incident of 40 years ago replayed itself before my eyes with extraordinary clarity. I introduced my husband, and he in turn presented his wife. "Darling," he exclaimed. "This is Lisa. She is the person I told you about, who once had such a nasty run-in with my landlord when we were at Cambridge." "Oh yes," she returned. "Whenever we hear you on the radio he reminds me of that awful occasion, and how devastated he was by it." I was dumbfounded. I had imagined that calamitous tea-party had barely made any impression on the sophisticated young actor who had hosted it. I was the one, I had thought, who had not known how to handle the social embarrassment. Not once had it occurred to me that he might have minded too. Even as I tell this story, though, the historian in me feels a pang of anxiety. I am almost sure that not all those details I gave you about the bed-sit in Silver Street, and my recollection of what Tim looked like in his blue shirt, while I sat in the battered armchair by his spluttering gas fire, are accurate. They became convincing and vivid as I turned my minds-eye back, shining the spotlight of my recently enhanced long-term memory upon them. I probably introduced some extraneous detail that actually belonged somewhere else in the capacious carpet-bag that is my middle-aged memory bank. Although Tim and my accounts of the main facts were surprisingly similar and caused much hilarity in the retelling, what would have happened if we had expanded on that recollection, to include more impressionistic aspects of that fateful afternoon? Might we, together, have begun to embroider the basic facts, creating a composite account which resonated with other events that took place around the same time? One consequence of the heightened sense of recall we acquire with age is that we find ourselves running together things that happened to us and things that were reported (in newspapers or on television) at the same time, or are told to us by those we knew. Last year I chaired an evening of readings, performances and short talks at the Whitechapel Gallery in London, by and about celebrated Jewish writers for whom the old Whitechapel Library, with its books in Yiddish and German, had offered an intellectual lifeline when they arrived from Eastern Europe in the 1920s and 30s. In the course of it, several speakers mentioned the Battle of Cable Street, which took place on Sunday 4 October 1936 in London's East End. This was a clash between anti-fascists, including local Jewish, socialist, anarchist, Irish and communist groups and the British Union of Fascists, led by Oswald Mosley. Mosley's intention had been to send thousands of marchers dressed in uniforms styled on those of Mussolini's Italian blackshirts provocatively through a district which was predominately Jewish. The anti-fascists turned out to stop him, and the result was a pitched battle between the Metropolitan Police, fascists and anti-fascists. At that Whitechapel Gallery evening, everyone there over 80 could vividly recall the Battle of Cable Street. Most said they had witnessed it at first-hand, and the scenes of out-of-control street-fighting had clearly burned themselves in on their memory. Some could describe as if it were yesterday the fear they felt, as the event descended into near-anarchy. All the same, I had a sneaking feeling that since they could not have been more than 10 or 12 at the time, perhaps one or two of them were recalling those chaotic events with help from Pathe newsreels or the memories of others. I am not suggesting that any of us does other than tell the utter truth as we recall it, when we narrate these intensely-remembered moments from our personal past. Rather, I am admitting that, as someone with a reputation, I hope, for telling persuasive stories from my own life, I might not always get it absolutely right, and that while that does not detract from an entertaining tale, for on-the-record purposes it might not quite match other versions of the same events. When we historians try to recover the past, the first person "I" of oral testimony, the voices of those who were there, are particularly seductive. Their strength of feeling communicates itself to us as no written record ever could. It connects us, compels our continuing attention, prevents our ever forgetting. Where the factual detail is concerned, though, if I'm anything to go by, I suspect it would be a good idea to cross-check for historical accuracy.